On Saturday, July 26 at Warner Bros. Television Presents a Night of DC Entertainment at Comic-Con 2014, Warner Bros. unveiled a brand new trailer for NBC's Constantine. Warner Bros. has now officially released the trailer online, which we've embedded below. 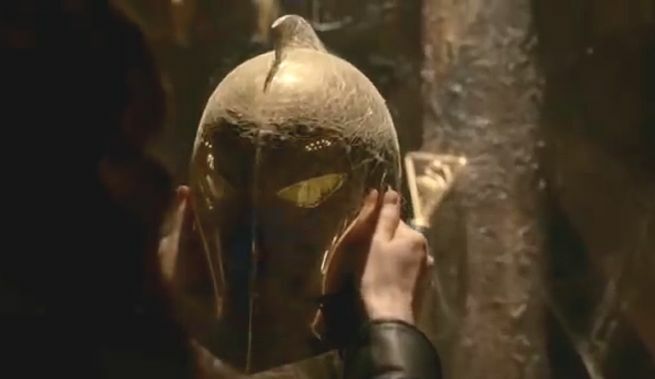 The trailer is jam-packed with Easter Eggs related to other DC Comics characters. Matt Ryan stars as John Constantine, an irreverent, working-class con man and occult expert waging war against the forces of darkness — from both within himself and the outside world. Constantine premieres on Friday, October 24, at 10 PM ET on NBC.